What Kind Of CHANGE Will Affect YOUR Campaign? My friend, the US elections are upon us. I mean, they’re upon the American people, not upon us Canadians. And I like that word, “upon.” What was I talking about again? Politics. Guess that’s why I could only write one sentence before I start to wander… Anyway, the platform both Obama and McCain parties are shouting loud and clear: CHANGE is needed. “Silly Susie slowly slithered down the slippery slope”. See? September marks the start of a new school year. Back to work for others. And it’s time for your OWN campaign. A campaign that keeps you on track of the promises you made in January. Remember those New Years resolutions you’ve been slacking on? How’s that workin’ out for you? What kind of CHANGES will you willingly accept into your life? My biased opinion says “Getting into a dance class” might be one of those campaign promises you made earlier. But will you keep it? Or will the fear of CHANGE run your life? Remember when moving up from grade 7 to grade 8 was a good change? Remember when you got a better job? Remember when you hit puberty? Change is good. When we put the fear behind us, change can also fun, invigorating and EMPOWERING. I challenge you to CHANGE something. See what happens. You wanted t know what I wanted to see on your website? I want to see you coming out toHamilton and runnig some workshops out in this area! That’s what JAMIE wants to see! ope you’re up for that! If you can’t do that then I’d love to see some posting of other workshops hat you may know about in the Hamilton/Burlington area! I want to take your classes so badly but i work 6 days a week until 8 pm. Is there any chance in the future you’ll offer classes on Sundays? The JACKET DANCE!! !… I HEARD OF IT..DONE WITH JACKETS.. SOEMTHING REALLY DIFFERENT! would love to take classes that are for adult females only. we still like to dance and some people forget that we are still willing to learn. i live in whitby, just wondering do you ever teach in the east end. I really think your classes are great! I’ve learned more from the couple of classes I’ve attended than I have from other classes I’ve taken elsewhere! What I would love to see more of is during the warm up is maybe you could go over moves that we could use in a club! And less push ups (ok, ok, maybe I don’t mean that, but I can’t help it I’m LAZY! haha). just to let you know i love your hip hop class and i have taken them, i did go see you during the summer for one class and i still enjoy it. also my brother did take your class to, but the problem is i live in the east end. i have 2 kids, hectic schedule because they dance competitively. do you ever go to scarborough, pickering, ajax, whitby or oshawa because if you did i would be there no problem. do you ever dance in dance Inc where jeff is. i would love ton take your class again. I have a son (8 years old) and a big whole group of boys who would absolutely LOVE to LEARN TO DANCE! They are soooo inspired by movies like Step Up and Honey and all kinds of videos. There isn’t any type of instruction to offer these boys around here. They’re all expected to play hockey or soccer….but I can tell you…my son has a passion for music and dance, and I’d love to give him an opportunity to learn from you. We live in North Toronto (a very “whitebread” neighbourhood) and I really want to offer the kids around here a chance to do something different. The dance schools around here are designed for girls…not boys. My sons jaw dropped when he say your website. Any chance of working something out? I can probably find a location for a class and get the kids registered. Hip hop, break, pop……..they love it all. What I see on your website just blows me away. I will for sure myself come out for classes asap. It’s been too long for me to get out there and have some fun. And the video idea is fantastic! Keep me posted on progress and any of your thoughts! I’m a healthy but not-overly-coordinated middle-aged guy who would love to learn to tap and/or soft-shoe. Need a class with a patient instructor! I really want to take your class, Its awesome! Some of step it just easy and cool to do it. But I only can watch it online because I am working in China now! i would LOVE to join in with your dance classes but the only thing is…. i live in England, its always been my dream to save up and go over to america just to get involved in as much dance classes that i can because i don’t think you can get hip hop over here like you can in america! and dance wise, i think the more way out and odd you can make it the better! I don’t get to Toronto very often. I dance in Milton, Burlington and surrounding area. We need your classes in the suburbs for those of us outside of T.O. Hi! I have limited computer access – (unfortunately!) and the access I do have, has no audio – though I did enjoy James Brown even without sound! So, I don’t always get to catch the cool stuff you send – please don’t feel too dejected!!. Hope to come back for some tapping later in the year – sadly, back taxes and rent have to take priority for the moment – still looking for a roommate to share my place – in the meantime I enjoy the extra space except on the first of the month when I gotta pay full rent on my 2 bedroom! Always happy to get updates on your latest adventures. What do I want? mmm…I think more classes! EVERY DAY! I promise I’ll be there until you get tired of me hahaha. Maybe more workshops once in a while so we can improve our skills, like breakdancing. And I’m thiking it would be cool if we performe somewhere, like in a festival or do our own show every couple of months, what do you think? I would LOVE to perform!!! and invite friends and family and also that would be great to promote the classes. How about that? sounds good?? Anyways your going to see me supporting you always! I want you or someone to come to the Burlington-Hamilton area for regular classes! It kills me everytime i get some info from you regarding classes and new ideas ’cause i wish i could be there but life changes as you get older and coming out to T.O. just isn’t a possibilty. So i guess i should unsubscribe but at the same time its my only link to dance. I was taking a class once a week last year but it was cancelled ’cause not enough students. so please send someone out this way, and i will do my damest to gather people for it (theres already two of us requesting this – Isabel-and i know more!). Shawn, you have that desire to keep going until the day you die and even hopes of continuing above the clouds, i’m desperate here. Please help me out! I am trying to create my own business and things are finally starting to look promising; I got my own business cards, and my website is at the programmers right now, and I am busy painting and being the best person I can be. Honestly, I am scared shi*less of going back into anything to do with dance although it is my #1 passion. I can express myself fully through movement and nothing surpasses that feeling I get. I am working on the fear; but trust me when I am ready I will know and I will meet you in person. I never give up and will keep on moving. — Sorry, I only offer kids classes when I teach a workshop at a dance studio. If you know of any, feel free to ask them if they want me to come in. Or pass their contact along. — I’ll let you know about beginner tap Dan! If more people SPEAK UP and say they’re interested, we’ll tap. I need to pay costs for studio rental. — Far away? I travel everywhere, as long as there’s enough people to warrant travelling to teach a class. 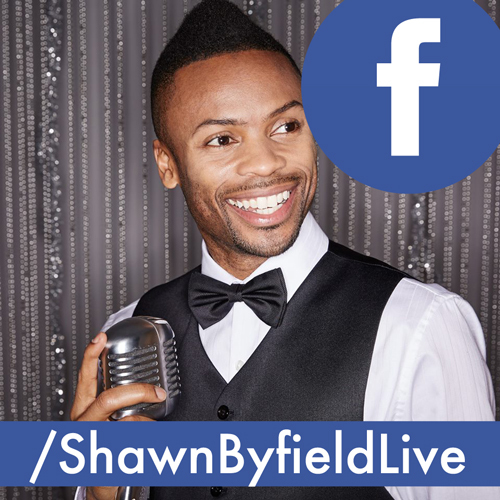 that would be amazing – I haven’t done a show in ages! and i just want to say – Thank you so much Shawn and Jenna! – we really appreciate all that you’re doing for us. Just want to make sure you know we all love you guys!! See you so you think you can dance weds!! Hi Shawn, you asked, so I’m going to tell you what I want. I’d really like to take hip hop classes that progress through steps and levels. I guess the best way to describe it would be the tap or swimming lessons I took as a kid. We learned specific steps/strokes and had to practice them and the steps/techniques were progressively more difficult and advanced at each progressive level. Remember getting the maroon badge in swimming? We had to pass “examinations” to get to the next level in tap. I’m not suggesting exams, but it would be great to take a class that breaks down core moves and then builds on them. I think that would help move people to the next level. I really enjoy the choreography and the chance to “do a dance” in class, so it would be cool to incorporate that, but I really would be happy to learn and perfect moves and build up to doing a choreographed routine by the end of the class term. I think the practice sheets are good, but having levels and progression through steps/moves would help me move to the next level faster. Hey! I have just read the feedbacks…WOW! There are people from around the world! I live in Europe and also enjoy your ideas, videos that you publish. What would I like? Well, that is hard to say `cause I have not been to any of your classes (just amazing videos 🙂 ). However, there are different types of music. Some of them are energetic so that you want to shake, other compositions are more lyrical. So, each music has its own character. If that is possible to write&help to find out more info about the styles and the movements. Thank you very very very much! Dear Shawn i don´t talk english . Al no dominar el ingle se me hace dificil contestar, la verdad que los videos y clases que he visto son fabulosas me gustan mucho y es un estilo que aca en mendoza provincia de Argentina no hay de hecho soy la unica que da tap en este lugar no esta muy difundido. beginner tap yaa!! i will try! also more dutty whine reggae dancing!! 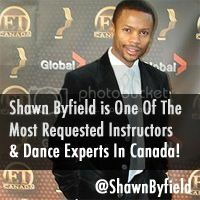 other than that i looove your class and your energy shawn! p.s. intensives and a show sound like fun too! I would love for you to offer a daytime class during the day during the week. As a studio owner and teacher in the evenings, it is seldom I am able to get in a class in the evenings or weekends during the Sept. – June season and going to conferences for 2 or 3 days at a time requires me leaving my studio for three days. Just a thought. Good luck with all the feedback and have a great weekend ~ Julie in Ptbo. P. S. You are the best baby! As a parent of a teenager and a younger boy….On your “new” website, I’d love to see inspirational stories of yours (like the one you wrote about not believing everything others say)….dance/inspirational quotes; advice for young dancers about: attitude, healthy bodies, healthy minds; maybe some cartoons relating to dance; dance news from around the world; a way for dancers around the world to chat or connect with one another……yada yada yada…..just think outside the box and “anything is possible”!! Thanks again for being you!! SHAWN! COME TO LONDON! I MISS YOUR CLASSES! What I’m interested in is eventually dancing in a group or putting on a show. I feel your classes are great but if you also incorporate those sessions and somehow have the students put on a performance so that we are motivated to achieve a certain goal I think would be good.